Flint's polluted water crisis recently hit the headlines and many celebrities have stepped up to help residents of the town. 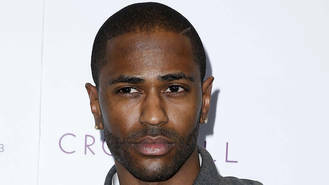 Rapper Big Sean is now teaming up with bosses at fundraising website CrowdRise to raise money for the city through his Sean Anderson Foundation. The star has pledged $10,000 (GBP7,035) of his own money, according to TMZ.com. Launching the #HealFlintKids initiative, he said, "I am devastated by the water crisis that has put the entire city of Flint in a state of emergency. In recognising the great work that the Community Foundation of Greater Flint Michigan has been doing, it is my hope we can help by raising the money needed to ensure that the children who have been hit the hardest receive the care that they need today and well into the future." Anyone who donates at least $10 to the fundraiser will be entered into a contest with a chance to win VIP tickets to a Big Sean concert in 2016 and he will meet five of these lucky winners backstage.